Lorenz Adlon Esszimmer: In style! 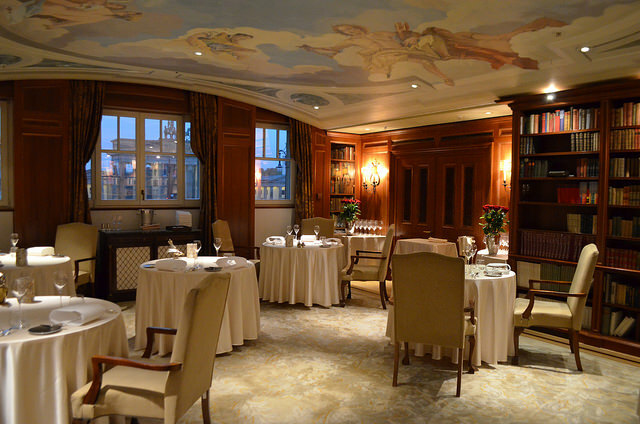 The restaurant ‘Lorenz Adlon Esszimmer’ is the gastronomic restaurant of the well-known five star Adlon Kempinski hotel in Berlin. It is one of the most famous hotels in Europe and visited by lot’s of celebrities like Queen Elisabeth for example. 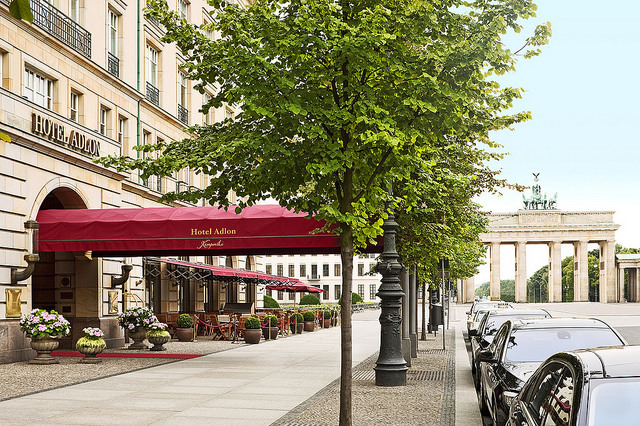 The luxury Hotel Adlon Kempinski Berlin is located on Unter den Linden, the main boulevard in the central Mitte district. The hotel is a city landmark at the corner with Pariser Platz, directly opposite the Brandenburg Gate and the Memorial to the murdered Jews of Europe. Primary sights like the Reichstag, Potsdamer Platz and Checkpoint Charlie are all a short stroll away. 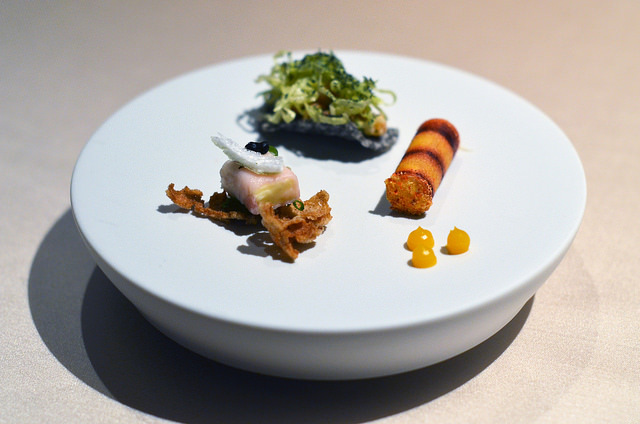 Lorenz Adlon Esszimmer is one of the three restaurants in the hotel but really the gastronomic flagship of the area. 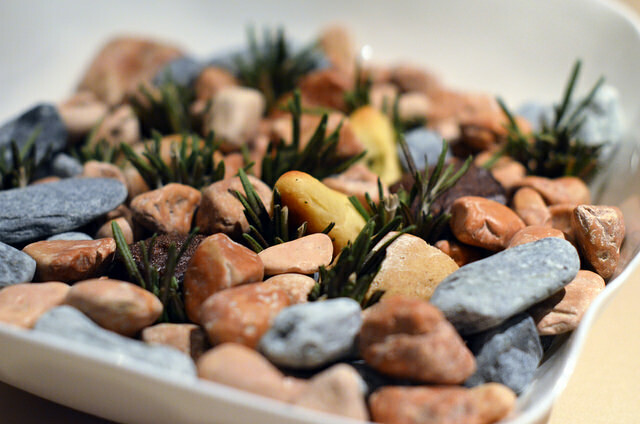 The interior of the restaurant is luxurious, prestigious and with some traditional German stylish elements. One of the dining rooms is decorated as a library, the other features traditional works of art. 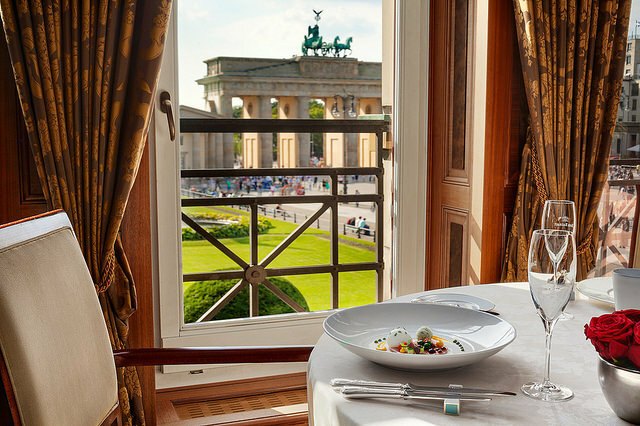 Most tables offer excellent views on the Brandenburger Gate, one of Berlin’s most famous landmarks. Chef Hendrik Otto is in charge of the kitchen. 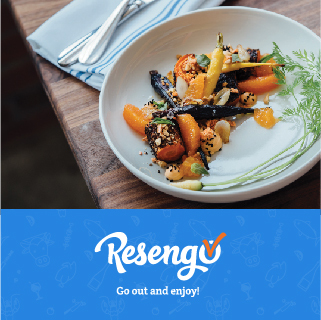 He started working at the restaurant in 2010 and quickly gained recognition from the German and international gastronomy world. 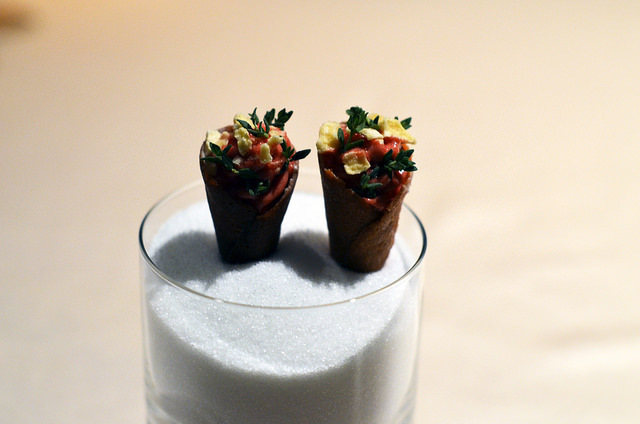 The chef serves an international style where he reinterprets famous classics and creates his own culinary works of art. Main products are served with respect. 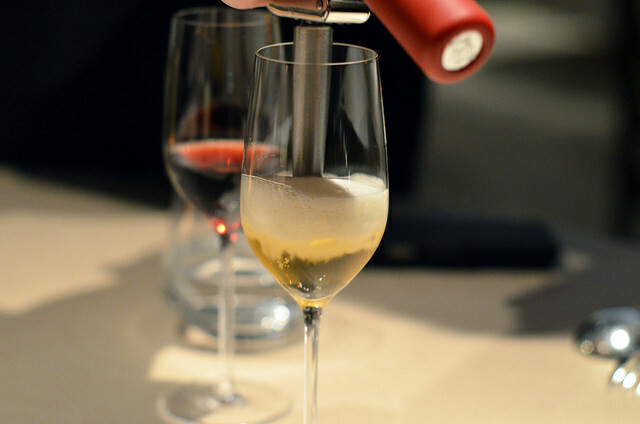 Wines are carefully chosen and presented by Iranian sommelier Shahab Jalali. The dynamic sommelier perfectly complements Head Chef Hendrik and Restaurant Manager Boris Häbel. 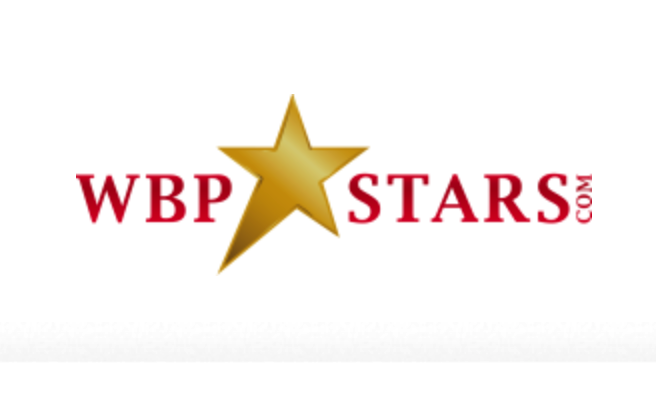 Shahab likes to work with wines from the surrounding regions but does not limit his choices to German wines. 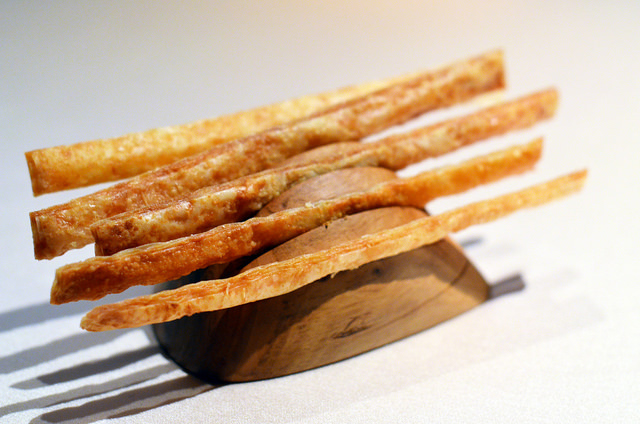 Bread sticks with Parmesan cheese. Cannelloni from pineapple filled with ham & cheese, crumble of bread; Shrimp salad; German apple cheese with lardo di collonata. 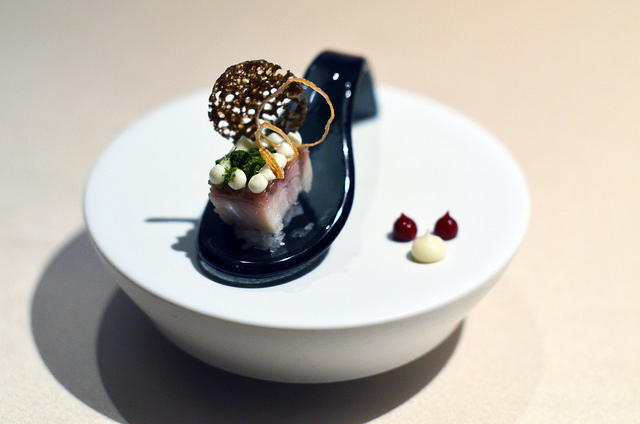 Smoked eel with a beetroot cream, kohlrabi cream, gel of eel, onion rings, dried herbs from lovage. 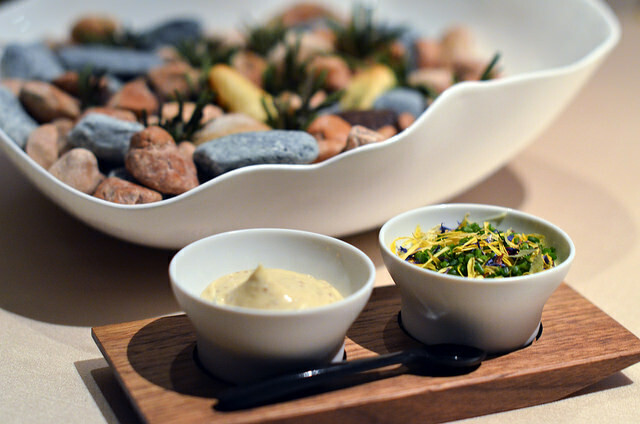 Bread selection with truffle mayonnaise and salted butter with flowers. Hotstone muffins, delicious butter rolls with rosemary, sourdough bread with fennel seeds. 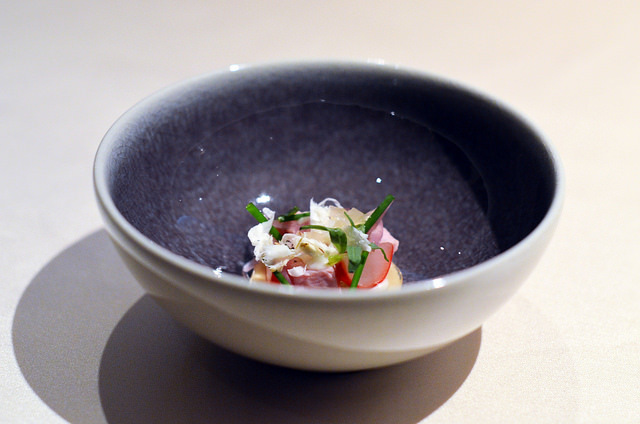 Jellied veal, horseradish, pickled radish. 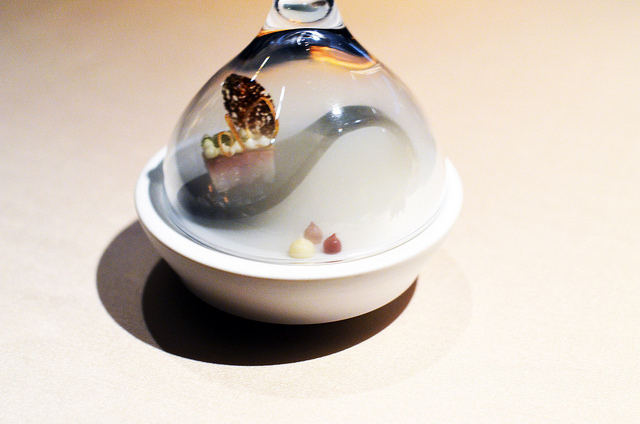 On the side a granité of quince with Cremant zero dosage. 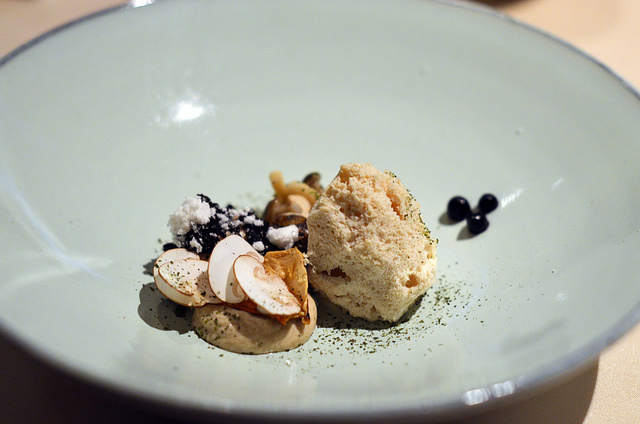 Frozen foie gras, mushroom, crispy Jerusalem artichoke, celery, elderberries and chervil. 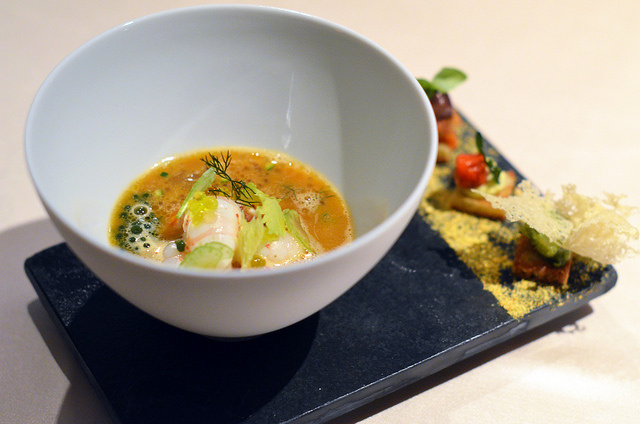 Next was a superb bouillabaisse with lobster, langoustine, squid, fennel, honey tomatoes and aniseed. 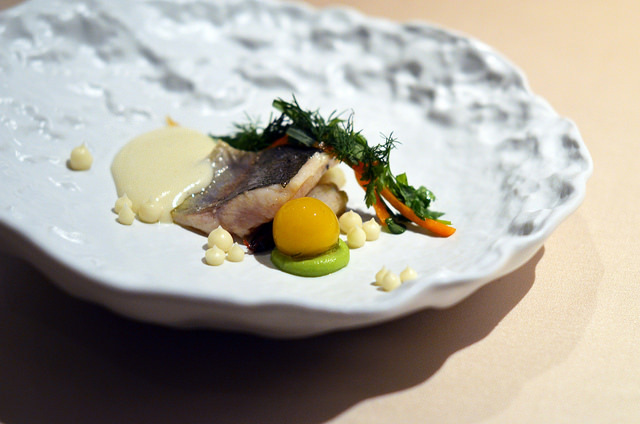 Trout came with a cream of fried potatoes, an escabèche in a spherification with the looks of egg yolk, glazed shallots, horseradish, marjoram and dill. 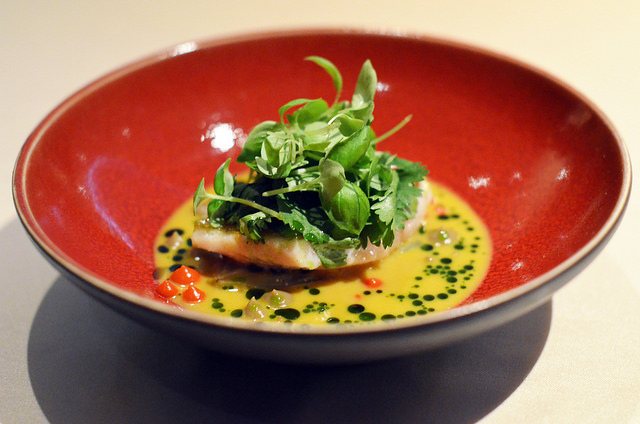 The red mullet was nicely seasoned and served with a curry sauce, eggplant, smoked bell pepper, coriander and verbena. 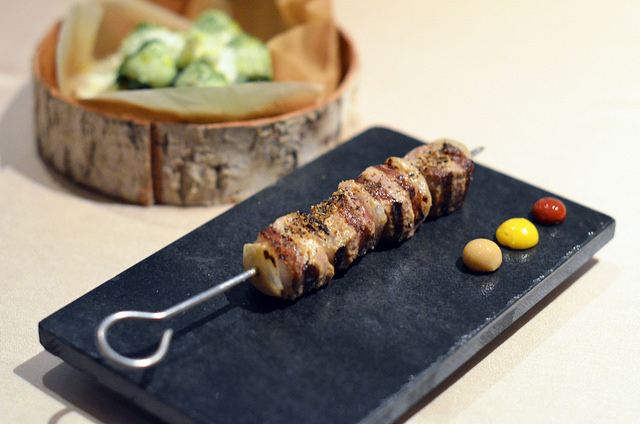 Shashlik ‘brother in lawstyle’. Indeed a recipe from the chef’s brother in law. 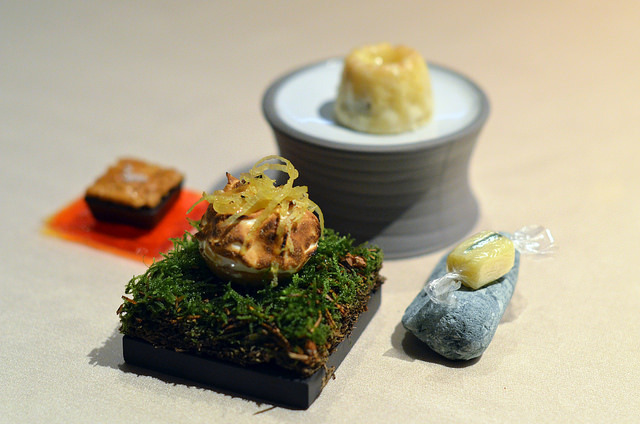 His version came with a Bamberger Hörnchen potato with frozen goats curd, line-seed oil and a five herbs mixture. 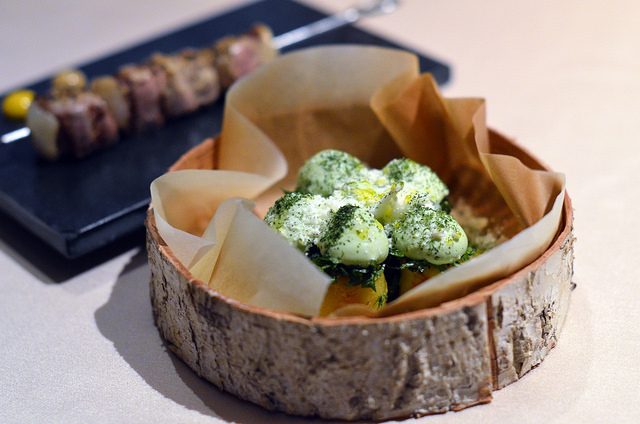 The shashlik from Iberico pork was served with met a spherification dip of barbeque, maïs and aioli. 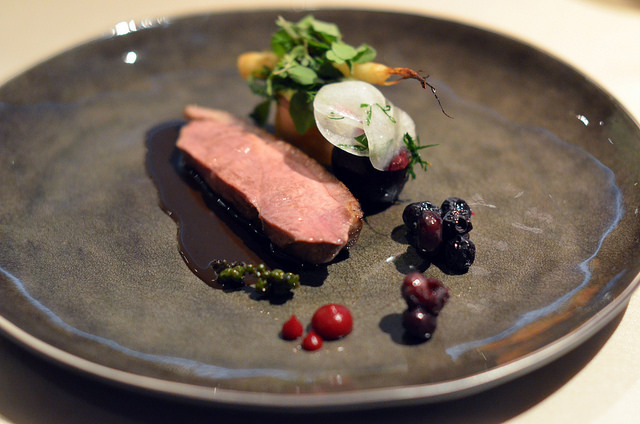 Duck with sauce Rouennaise, green beans, beetroot, dried blueberries and candied green peppercorns. 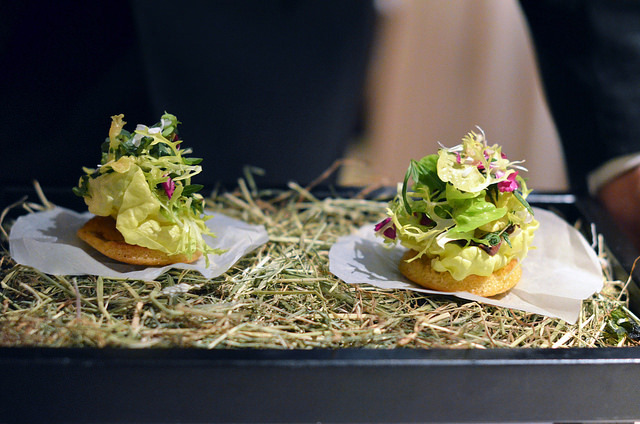 Cheese sandwich with camembert, lettuce, radish and leeks. Pré dessert: cider and espuma of cider. 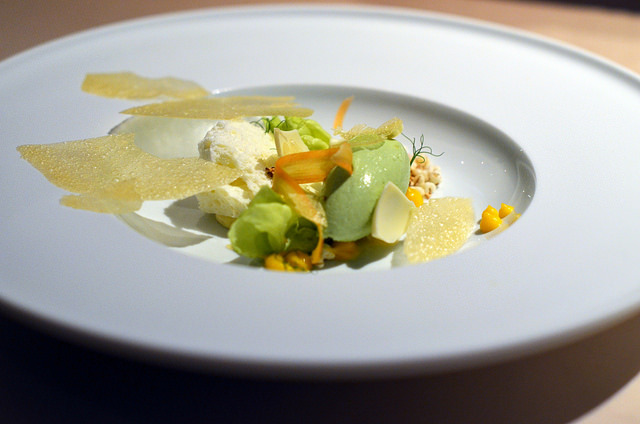 White chocolate with a basil-sorrel ice cream, carrot, pineapple, lettuce, wheat and lavender. 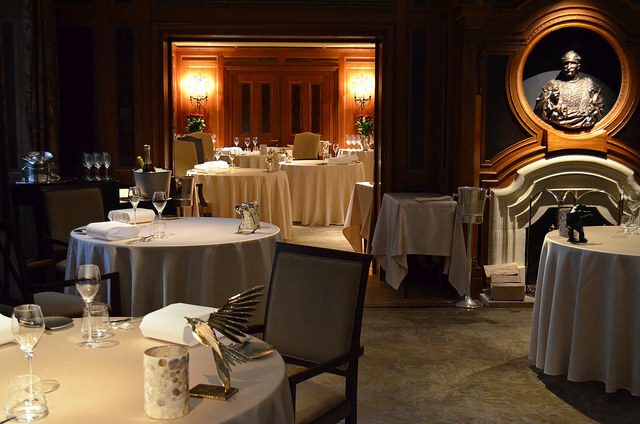 Since its opening in 1907, fine dining has always been a key element in the Adlon’s tradition of hospitality. 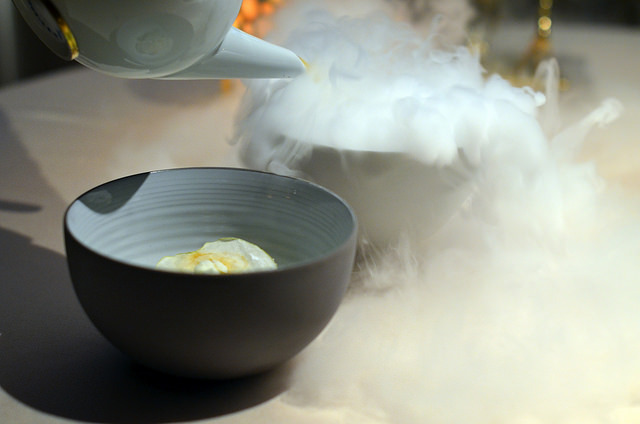 Under the motto “tradition eats modern” the Lorenz Adlon gourmet restaurant presents a perfect mélange of traditional and modern influences with a remarkable wine pairing and a great service.